PUMA isn’t new to collaborations. It seems that every week, we receive a news release from the company announcing another company they’re working with. Just in the last few months, we’ve seen collabs with Paul Stanley, Power through Peace, and the super dope Atelier New Regime. But the latest collaboration has gotten us even more hyped about the PUMA possibilities. Their new partnership with Karl Lagerfeld is going to be dope. 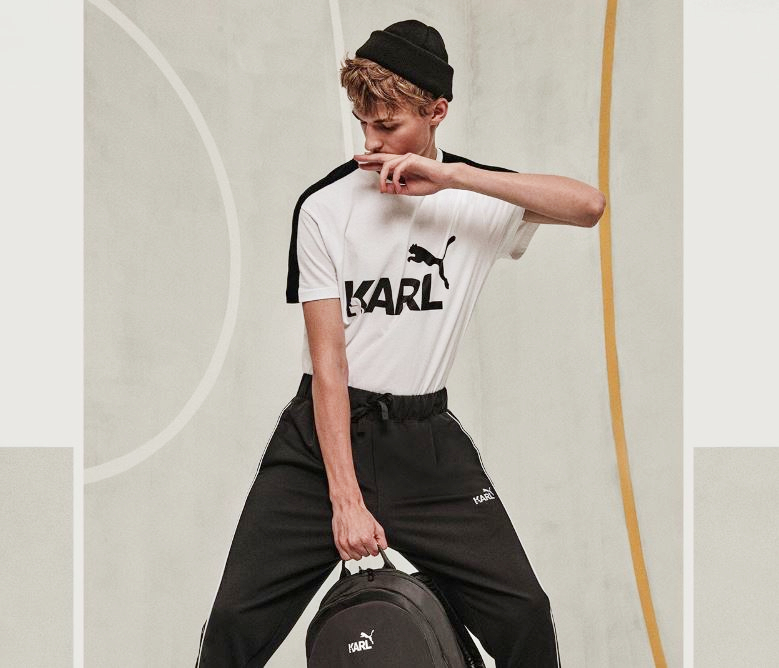 With PUMA x KARL LAGERFELD together, the two fashion brands have come together to create a modern, elegant collection designed in honor of the Suede’s 50th anniversary. The classic Suede is adorned with playful graphics of Karl and his trademark sunglasses and tuxedo blazer. Check out the new line here. synonymous with timeless, Parisian-chic styles.